Quite some time ago, I posted about assessing the risk of losing work, cat proofing software, and backup of work. 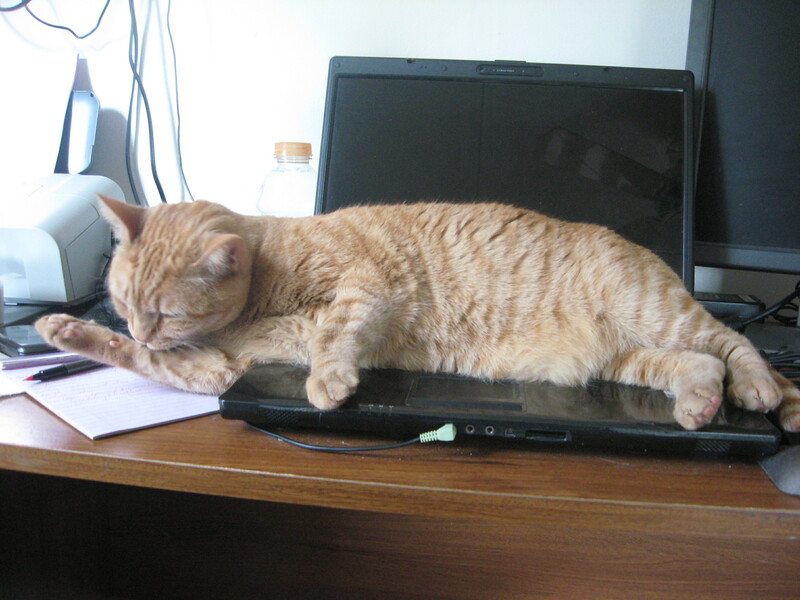 At the time the Keiko (the cat who was with me until 15 December 2011) just was not really a threat when it came to walking on the keyboard. Sadly, Keiko had adenocarcinoma of the ileum and is no longer with me. Her successor has turned out to be a keyboard lover! 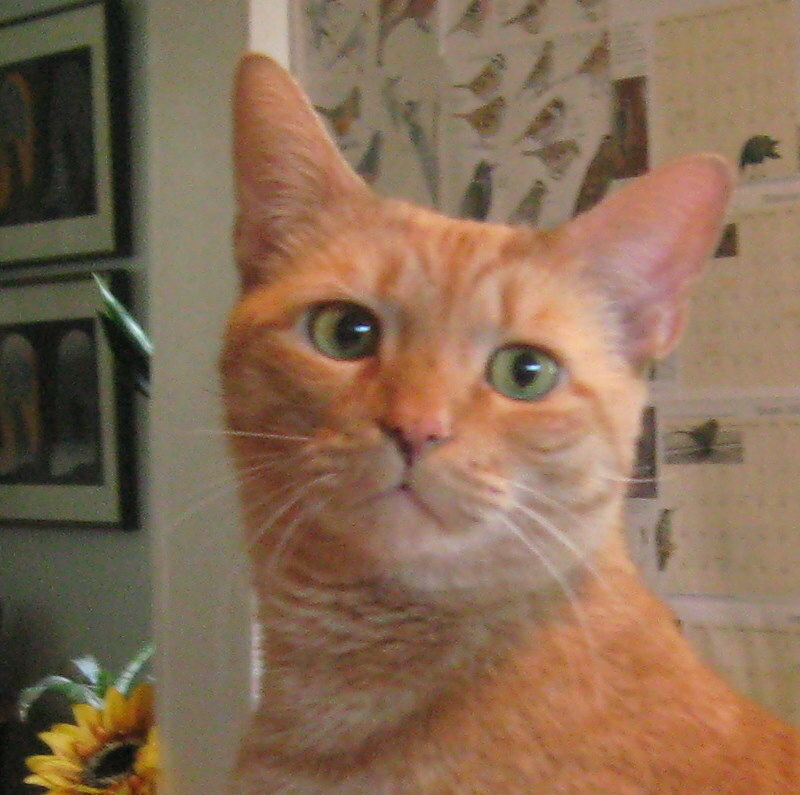 So–I’ve installed PawSense®–for obvious reasons. I have to say that it installed easily. It doesn’t seem to affect the speed of the computer. It works. It comes with a selection of sounds, some that certainly seem as if they should be annoying to a cat–they are certainly annoying to me! 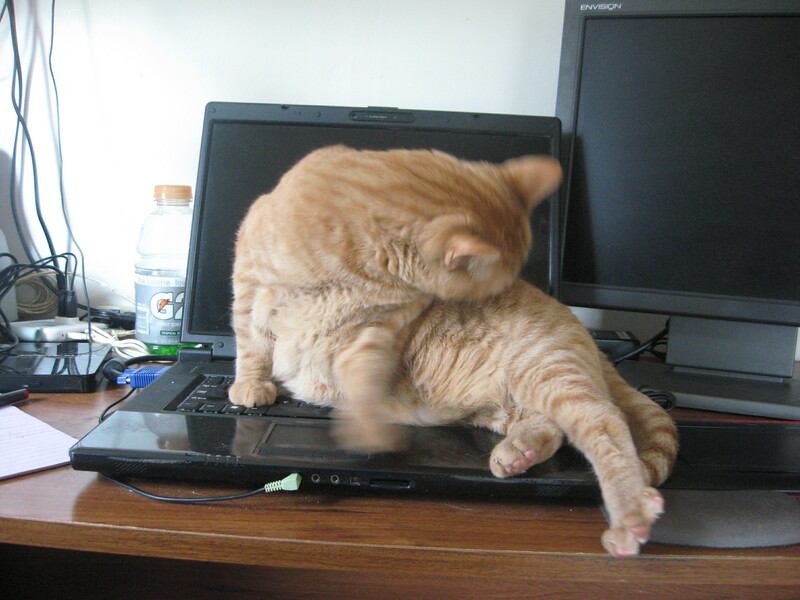 (That is not a complaint since I do really want Frankie to stay off the keyboard.) It even has the option for you to record your own your own message to said cat if you wish. I have to say that it’s inexpensive too! The CD arrived promptly in the mail. (It’s not downloadable.) It’s available for Windows 2000, XP, Vista, and 7. It has a screen saver mode for when you’re not at the keyboard, but the computer is still on. 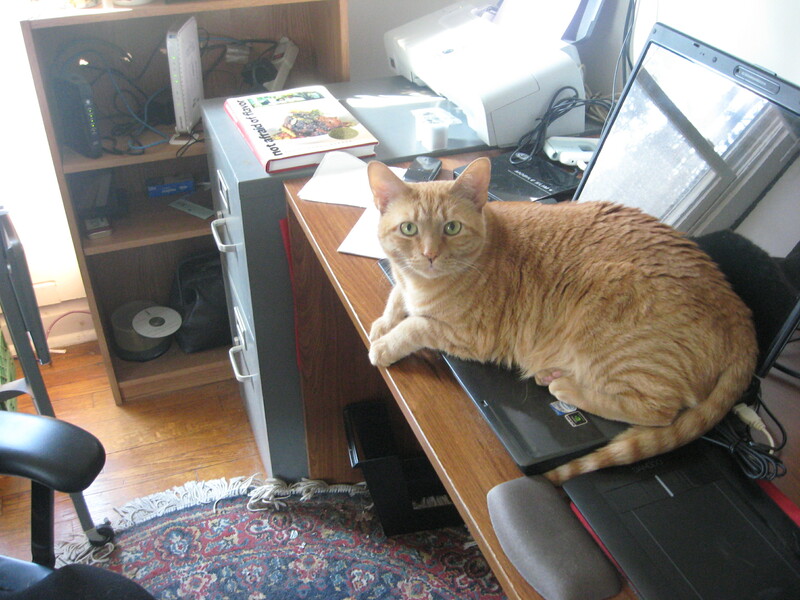 Right now I’m using the “not annoying” sound–simply a rather pleasant masculine voice saying “Get off the keyboard.” a few times, followed by a yawn that seems to say you’re interrupting my work. Volume of the sounds is easily adjusted–I started low and have worked it up. This software, coupled with me getting up and walking away when cat hits keys is effectively keeping my work intact and seems to be training Frankie to stay off the keyboard. 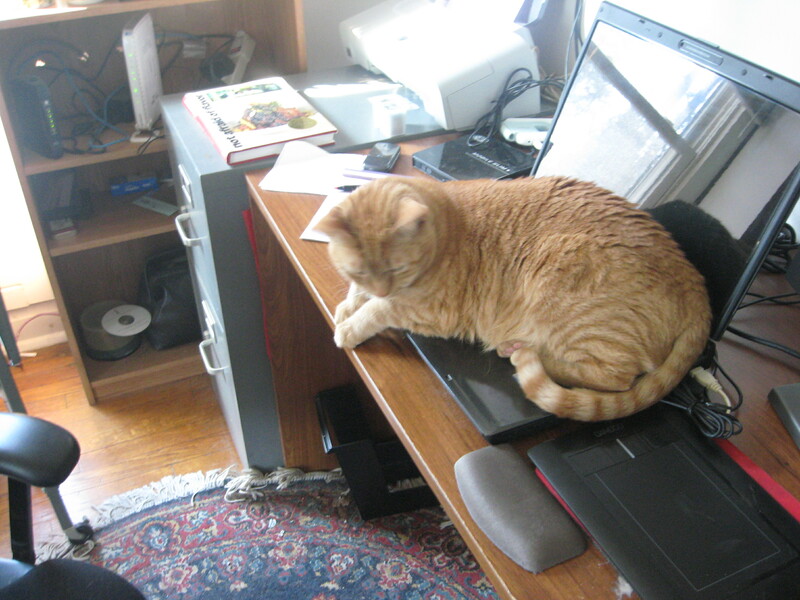 (I really think that he’s trying to replace my RSI-prevention break-time software–WorkPace®!) Since I can’t imagine not having a cat in the house, I’m pleased to have the computer safe from Frankie until he learns to be a bit more selective about where he places his paws!